The erstwhile Sadashiva Sanskrit College , Puri functioning under the State Govt. of Odisha and known for its long involvement in the study of Sanskrit in traditional system, was taken over by the Rashtriya Sanskrit Sansthan, New Delhi on 15th August, 1971. Consequent to the transfer of management, the old Sadashiva Sanskrit College was renamed as Shri Sadashiva Kendriya Sanskrit Vidyapeetha. As a result of grant of the status of Deemed University to the Rashtriya Sanskrit Sansthan, it is now known as Rashtriya Sanskrit Sansthan (Deemed University), Shri Sadashiva Campus, Puri. The Campus is located on a piece of land with an area of 15.30 acres on which the buildings admeasuring about 8338 sq. mtrs. were constructed. Apart from the main building, this Campus also has Library building, Girls Hostel(40 rooms),4 units of Staff Quarters and an Auditorium. The campus has got another piece of land about 12 acres in area. It is proposed to construct Stadium, Boys Hostels and Gym on this site. 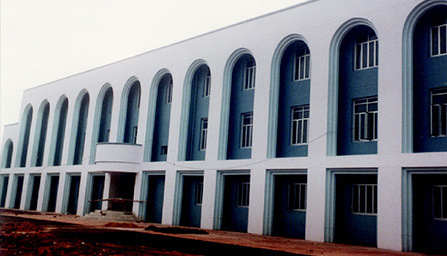 The campus runs courses from Prak Shastri to Acharya levels in the various departments as Sahitya, Navya Vyakarana, Dharma Shastra, Puranetihasa, Siddhanta Jyotisha, Phalita Jyotisha, Advaita Vedanta, Sankhya Yoga, Navya Nyaya,Sarvadarshana and Shiksha Shastra. The Campus also offers research programme leading to the degree of Vidyavaridhi (Ph.D.). Besides above subjects, subjects like Hindi, English, Oriya, History, Mathematics and Computer Education are also taught in Shastri and Prak Shastri classes according to the syllabi of the Sansthan. Environmental studies are also a part of the course structure.